Like any good recipe, there are certain ingredients required to make it tasty and enjoyable. Logo design is no different. A formula is required to take a logo from MEH to HOT DAMN!! We’ve been working in our lab for years to create this formula and for the first time ever, we are releasing it to the public. So guard this with your life. To create Story you need 3 equal parts of who you are, what you do and why you do it. WHO you are – as the business owner, you are the face of the business. The business is an extension of you. WHAT you do – what makes your company different from your competitors. All logos need a story. It builds deeper emotional branding with your customers and employees. Your company is unique and has a story that is completely different from your competitors. To create Uniqueness you need 4 parts of icon, symbolism, spin and negative space. Creating these 4 parts requires you to research and sketch out ideas. 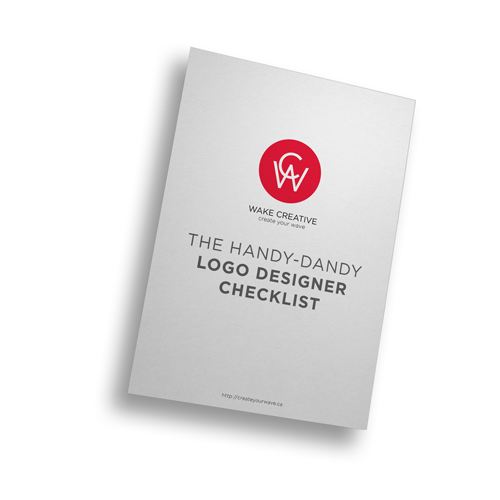 The ICON of your logo should be simplified. Simple shapes created in unique ways stand out. SYMBOLISM is required. This goes back to your Story. From your story you can research and play around with symbols that have meaning. SPIN that icon with symbolism into a new idea. There are countless ideas out there and unique ways in which you can take something old and make it new. Play with NEGATIVE SPACE. Negative space can add a different dimension to your logo. It can create dual images, unique shapes and clever ideas. To check for Versatility you will need to be aware of 3 things: sizing, usage and readability. Creating these 3 parts requires you to think about the big picture of your logo. Where will it be marketed? Don’t overlook any type of application. It doesn’t matter if you are strictly a web based business. There might be a moment where you require your logo printed on a car, t-shirt, removable tattoos, billboards, etc. Create your logo to be versatile. The SIZE of your logo matters. Be sure it scales well from 0.25 inches all the way to 8 feet or larger. Where will your logo be USED? We always think of end game and craft a client’s logo to it can be used anywhere. Sure they might not want it silk screened or put in a one-colour decal. We don’t care. You need to be prepared for anything and at some point in a company’s life cycle there might be a need for it to be silk screened. Being over prepared is better than the latter. Is the logo READABLE? This ties into sizing. If your logo can maintain it’s impact at the size of a pea, you have a winner. If it looks amazing on a billboard, high fives for you. Any logo needs these key ingredients to make it memorable, unique and impactful. Skimp out on any of these ingredients and you are left with a flavourless piece of crap ready for the trash. Want a logo for your company that follows this recipe? Fill out the form below.